This processed sugar is produced from GMO cornstarch, which undergoes an enzymatic process to chemically convert half its glucose molecules into fructose, which is sweeter (6). This syrup is directly linked to obesity and non-alcoholic liver disease. Corn syrup is similar to high fructose corn syrup in that it’s made from GMO cornstarch, but its glucose molecules simply aren’t converted (7). As with any processed sugar, high consumption of corn syrup can lead to obesity and insulin resistance. The FDA qualifies natural flavouring as “the essential oil, oleoresin, essence or extractive, protein hydrolysate, distillate, or any product of roasting, heating or enzymolysis, which contains the flavoring constituents derived from a spice, fruit or fruit juice, vegetable or vegetable juice, edible yeast, herb, bark, bud, root, leaf or similar plant material, meat, seafood, poultry, eggs, dairy products, or fermentation products thereof, whose significant function in food is flavoring rather than nutritional” (8). This means that anything naturally occurring, even sugar, can be considered natural flavor. Citric acid, often derived from corn, is used to preserve freshness and prevent Clostridium botulinum contamination. This harmful bacteria can cause neurological damage, so processed tomatoes almost always contain extra citric acid. In the past, naturally grown tomatoes contained enough citric acid to kill the bacteria off on their own, but genetic engineering and nutrient-deficient soil has lowered their acidity (9,10). Spices used in commercial food processing often contain calcium silicate, a corn-derivative, as an anti-caking agent. Salt, also known as table salt, is iodized, meaning that it likely contains dextrose, a corn-derived sugar. Dextrose is used to stabilize the potassium iodide added to the salt (11). Heinz has since launched a certified organic ketchup, but registered dietitian Stefanie Senior warns that even healthy ketchup is so high in sugar and salt that you should limit your serving size to one tablespoon a day (12,13). If you’ve ever known your grandmother’s ketchup, then you know this condiment can truly be nutritious. Tomatoes, to start are a an incredibly heart-healthy fruit, while apple cider vinegar is great for digestion, gout, weight loss, kidney health, and more. As well, coconut sugar is much less inflammatory than processed sugar. Add all ingredients into a large slow cooker. Leave uncovered and cook on high heat until it thickens, stirring occasionally (about 10 hours) . Pass the mixture through a fine strainer and store in a sealable container. Once completely cool, adjust seasoning to taste. Store refrigerated for up to a few weeks. 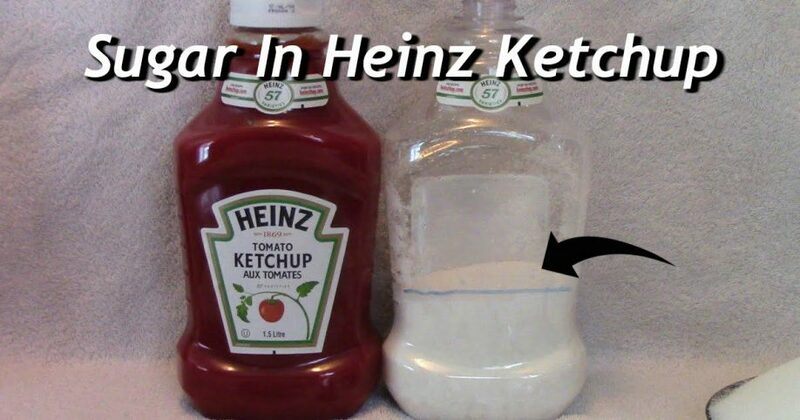 Once you’ve made your own ketchup, the store-bought stuff won’t cut it anymore. Plus, you can rest assured that you know exactly what’s in it.